Since the initial purchase of JETCAM, I-Cherng have purchased several further CNC punch and laser machines - Finn-Power SG6 and LP6 - each time adding a postprocessor to their JETCAM license, and in 2015 they added two additional seats of JETCAM Expert. The following month I-Cherng contacted JETCAM, to ask if a postprocessor was available for their machine. It was, and the same month the post was installed remotely and the software upgraded to v20 across the company’s three licenses. Further tweaks were made remotely to the postprocessor in order to accommodate their specific requirements and machine configuration, with test parts cut using NC from both JETCAM and the originally supplied software for comparison. Ian noted that the resulting NC generated automatically from JETCAM was much shorter. Immediately, the company noticed significant benefits. Programming time was reduced by 80%, as pre-defined technology tables automatically applied cutting conditions based on material, thickness and quality settings. Tooling and profiling logic could be applied automatically to parts for both punching and laser technologies, ensuring that parts were available for nesting on either machine. Features such as S.C.A.P. (Single Component Automatic Processing) and S.C.A.N. (Single Component Automatic Nesting) allowed for multiple components to be imported, tooled and complete nests of each part to be created fully automatically in seconds. Expert v20 also included two new features - JET-Cut and JET-Optimizer. JET-Cut provides automatic fly cutting (also referred to as grid cutting) based on pre-determined parameters. It intelligently locates grids of internal holes and then splits the cutting into separate short line segments that lie on the same line or circle. 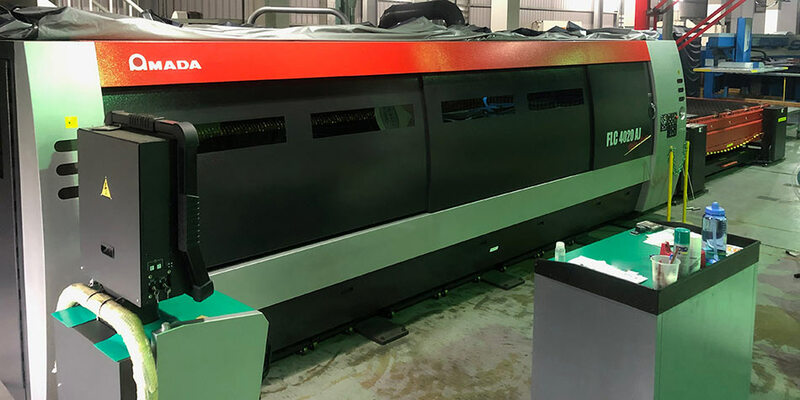 The cutting head is kept down during movement and the laser beam is switched ON/OFF on the fly, which dramatically reduces the cutting time of grids, etc. Rounded movement between cuts can be applied as the laser head moves to the next row, minimizing acceleration changes. Once configured, the entire process is automatic, and is applied with a couple of mouse-clicks. The company has written its own ERP system, and imports information to it from JETCAM’s automatically generated nest reports.